A new book by NBO Faculty members, Ann Stadtler and Claudia Quigg, Lessons from Toilet School: A Family-Centered Approach to Toilet Training, has just been published. This book provides support to families seeking to better understand the developmental processes of toilet training and is based on the assumption that every family's experience is unique and every child's experience is unique. "There is so much wisdom in this book. A parent who can read it ahead but wait for the child's readiness will find success and feel proud that she and the child were able to accomplish each step together." T. Berry Brazelton, MD. The Developmental Science of Early Childhood by Claudia M. Gold. Published in February 2017. This book by Claudia Gold, developmental pediatrician and NBO trainer, integrates current research from developmental psychology, genetics, and neuroscience to form a model of prevention, intervention, and treatment well beyond infancy. 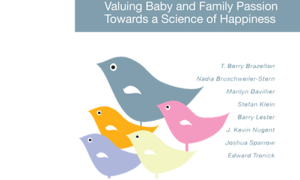 Valuing baby and family passion, towards a science of happiness. T. Berry Brazelton, Nadia Bruschweiler-Stern, Marilyn Davillier, Barry Lester, J. Kevin Nugent, Joshua Sparrow, Edward Tronick, 2014. This work edited by NBAS Master Trainer Joao Gomes Pedro and published by Fundacao Calouste Gulbenkian brings together the speeches and contributions made by participants at the international conference held in May 2013 – in partnership with the Brazelton/Gomes-Pedro Foundation for Baby and Family Sciences – on the new orientations and lines of action in early child-family interventions. 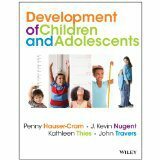 The Development of Children and Adolescents: An Applied Perspective by Penny Hauser-Cram, J. Kevin Nugent, Kathleen Thies, John F. Travers. Published by John Wiley and Sons, 2014.This new textbook provides an integrated view of child development by presenting the most pertinent research for each developmental stage and linking this to the practical applications in the areas of parenting, policy and practice. This balanced approach emphasizes the relationship between research, theory and applications. (Publisher’s blurb). 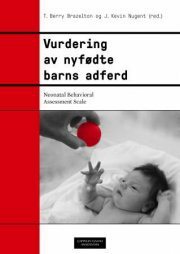 The Neonatal Behavioral Assessment Scale by T. Berry Brazelton and J. Kevin Nugent (Norwegian Edition) was published by Cappelen Damm Akademisk in Oslo in October 2013. The translation was completed by NBAS trainer, Jorunn Tunby, Department of Clinical Medicine, Faculty of Health Sciences, University of Tromsø. Infant and Early Childhood Mental Health by Kristie Brandt , Bruce D. Perry, Stephen Seligman & Ed Tronick (Editors), 2014. Foreword by T. Berry Brazelton. Published by American Psychiatric Publishing, Incorporated. Drawing from and grounded in their long-standing involvement in pioneering work on infant-parent mental health, Kristie Brandt and her colleagues have assembled a comprehensive, theoretically insightful, and clinically useful volume for psychiatrists, psychologists, nurses, pediatricians, social workers, psychotherapists, and all other providers serving children and families from pregnancy through age 5. In 20 engaging chapters by renowned practitioners and researchers in the field, the book covers concepts from the nature of infant emotional and brain development to the practice of neurologically and relationally based therapies, and explores topics from child trauma to autism spectrum disorders. The Baby as Subject: Clinical Studies in Infant-Parent Therapy by Campbell Paul and Frances Thomson-Salo (Eds.). Published by Karnac books, 2013. This book is a collection of papers by clinicians united in their conviction about the importance of directly engaging and interacting with the baby in the presence of the parents whenever possible. This approach, which draws on the work of Winnicott, Trevarthen and Stern honors the baby as subject. It re-presents the baby to the parents who may in that way see a new child, in turn shaping the infant’s implicit memories and reflective thinking. Recent neurobiological, attachment and developmental psychology models inform the work. 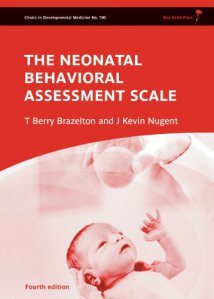 The Neonatal Behavioral Assessment Scale, 4th Edition by T. Berry Brazelton and J. Kevin Nugent. Published by MacKeith Press, 2011. The Neonatal Behavioral Assessment Scale (NBAS) is the most comprehensive examination of newborn behavior available today and has been used in clinical and research settings around the world for more than 35 years. Since the time it was first published, the NBAS has been used in hundreds of studies to examine the effects of a wide range of pre- and perinatal variables. The first part of this book describes in detail the procedures involved in administering and scoring the NBAS. This is followed by chapters setting the assessment in the context of psychological influences around birth, the relationship between the examiner, infant and parents, and what we know about newborn motor behavior. After a chapter on the use of the NBAS in research settings, the final part comprises descriptions by professionals around the world of its use in clinical practice. GUÍA PARA COMPRENDER EL COMPORTAMIENTO Y LAS RELACIONES TEMPRANAS DEL RECIÉN. Autor: J. Kevin Nugent, C. Keefer, S. Minear, L. Johnson, Y. Blanchard. TEA Ediciones, Madrid, Espana ©2011. Este manual recoge los principios del conocido Sistema de observación conductual del recién nacido y proporciona al profesional un procedimiento sistemático para ayudar a los padres a responder adecuadamente a las necesidades individuales del niño durante los tres primeros meses de vida. Contiene un instrumento de observación breve y fácil de usar y una guía completa que explica paso a paso y con ilustraciones cómo utilizarlo. Además, incluye sugerencias específicas para favorecer el desarrollo del niño. The Newborn as a Person: Enabling Healthy Infant Development Worldwide. J. Kevin Nugent, Bonnie Petrauskas, T. Berry Brazelton. Published by John Wiley and Sons, 2009. Advances in the fields of psychology and psychiatry have bolstered the perspective that infants are not the passive recipients of sensory stimulation as it was once thought. Built on T. Berry Brazelton s paradigm-shifting work on the individuality of infants, this book provides relevant information on the necessity for family-centered intervention in the newborn period. Coverage is wide-ranging, authoritative, and practical. This landmark collection includes contributions from T. Berry Brazelton, Tiffany Field, Rachel Keen, and many others. Pediatric professionals will receive practical guidance to support families, immediately beginning in the newborn period. 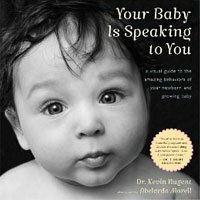 Your Baby is Speaking to You: A visual guide to the Amazing Behaviors of Your Newborn and Growing Baby by Kevin Nugent with photos by Abelardo Morell. Published by Houghton Mifflin, 2011. From an international expert on infant-parent communication, Your Baby Is Speaking To You is destined to become a parenting classic. Through intimate access to babies and their families, Dr. Kevin Nugent and acclaimed photographer Abelardo Morell capture the amazingly precocious communications strategies babies demonstrate from the moment they are born. Your Baby Is Speaking to You illustrates the full range of behaviors—early smiling to startling, feeding to sleeping, listening to your voice and recognizing your face. The newest research—including information on subtle and fleeting behaviors not seen or explained in any other book—illuminates the meaning of the things babies do that concern and delight new parents: “No other book so beautifully captures and decodes the way babies ‘speak’ to us.” (T. Berry Brazelton, M.D. ). This book is also available in Italian and Turkish.